ΤΗ Α' ΤΟΥ ΑΥΤΟΥ ΜΗΝΟΣ ΝΟΕΜΒΡΙΟΥ. Ο ΟΣΙΟΣ ΠΑΤΗΡ ΗΜΩΝ ΔΑΒΙΔ Ο ΕΝ ΕΥΒΟΙΑ ΑΣΚΗΣΑΣ ΕΝ ΕΙΡΗΝΗ ΤΕΛΕΙΟΥΤΑΙ. 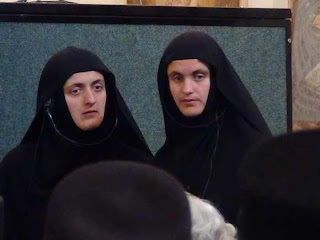 You Want to Find out if Someone Loves Christ, Find out if He Loves Monasticism. 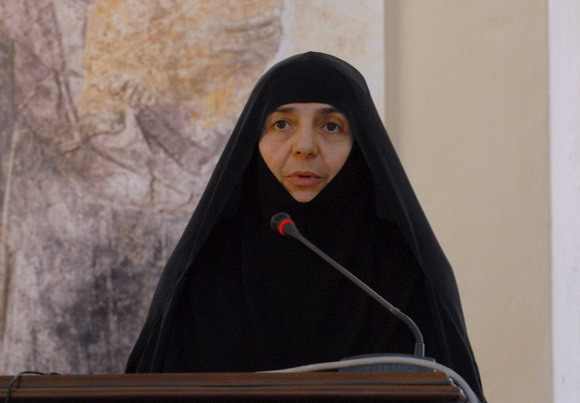 The first ever Orthodox International spiritual-academic symposium dedicated to women’s monasticism has now been held in Serbia, in the famous and ancient Zhicha Monastery, which is celebrating its eight-hundredth anniversary. There is a proverb which is the same even across the most different of Orthodox nations: “If you want to find out if someone loves Christ, find out in he loves monasticism.” Truly, monasticism is the nervous system of the Church, Her hope and expectation. Therefore the spiritual health of the nation depends very much on the health and strength of its monasticism. 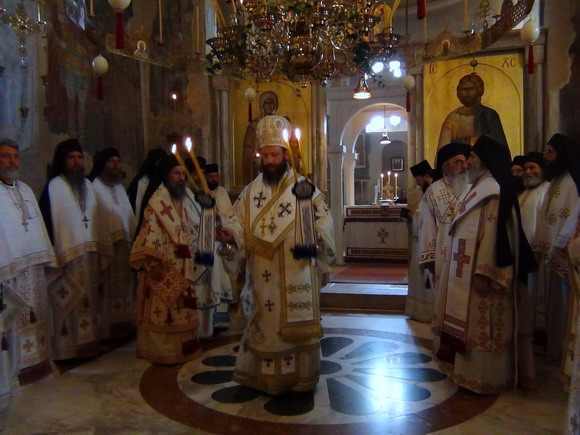 It is not surprising then that the recent symposium in Serbia was recognized as having great spiritual significance not only for the Serbian Church, but also for Universal Orthodoxy. Representative from almost all of the local Orthodox Churches took part in the symposium: from Greece, Serbia, Russia, France, Georgia, Romania, Syria and other countries. 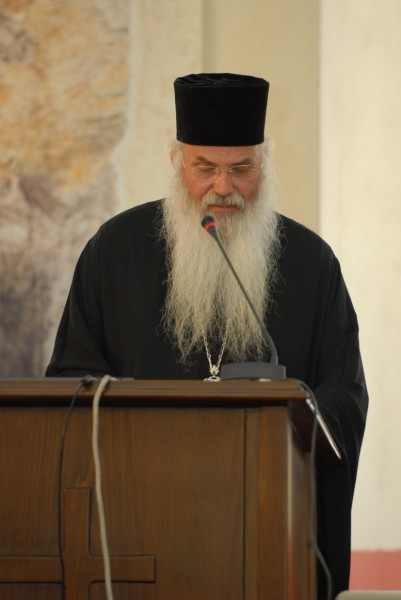 Opening the symposium, His Holiness Patrirach Irenaeus of Serbia said that monasticism has been the greatest force in the Church during all eras. The greatest Christian minds were reared in monasticism. At the present time it is reviving in many countries, but is also passing through formidable temptations; and this requires discernment and conciliar thinking. 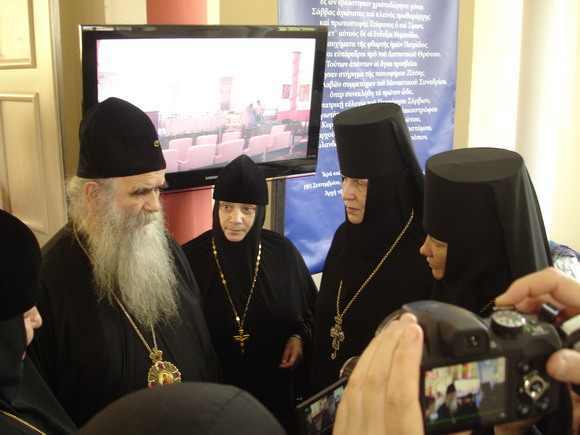 “It makes us very happy,” the Patriarch noted, “that both academics and monastics, representatives from various Orthodox Churches, are taking part in this grace-filled gathering. 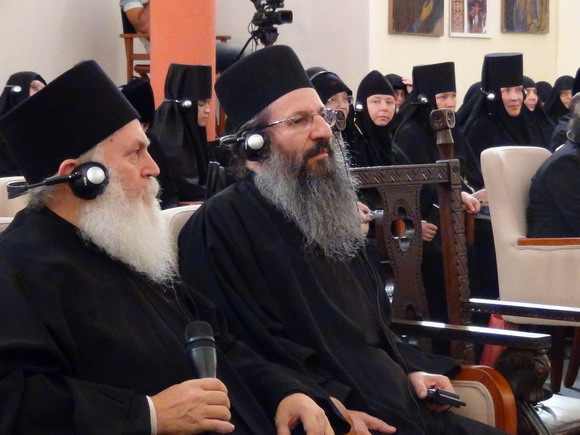 Thanks to this fact, we will be able to examine not only the history of Orthodox monasticism, but also its contemporary state, its problems and needs.” In the course of the symposium’s work the most urgent questions facing leaders and members of today’s monastic communities. 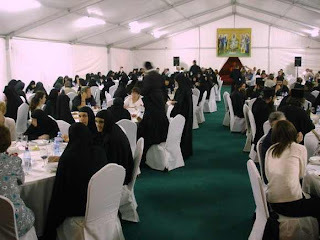 The titles of the presentations and the names of the participants speak for themselves: “The Abbess as Spiritual Mother,” “The Bishop and the Church,” “The Role of the Spiritual Father and the Clergyman in a Women’s Monastery,” “Women’s Monasticism and its Pastoral Role in the Church.” …Nine hierarchs gave presentations, including Metropolitan Amphilochius of Montenegro and Primorsk, Metropolitan Afanassy of Limassol, Metropolitan Nikolai of Lavreot, Bishop Afanassy (Evtich) of Zakholmsk and Herzegovina, and others. 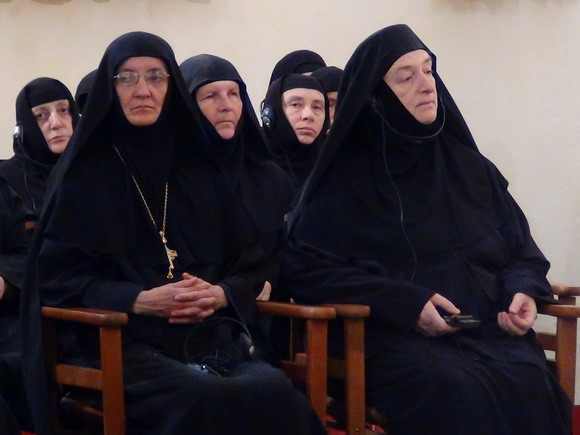 Also presenting were seven abbots, abbesses, and spiritual fathers of monasteries, including Archimandritev Ephrem of Vatopedi, Archimandrite Elisseus of Simonopetra, Abbess Theoxenia of Chrysopighi Monastery in Crete, Archimandrite Ilia (Rago), spiritual father of a women’s monastery in France which is a dependency of Simonopetra. We offer an excerpt from the brilliant lecture of Bishop Nikolai of Lavreot. 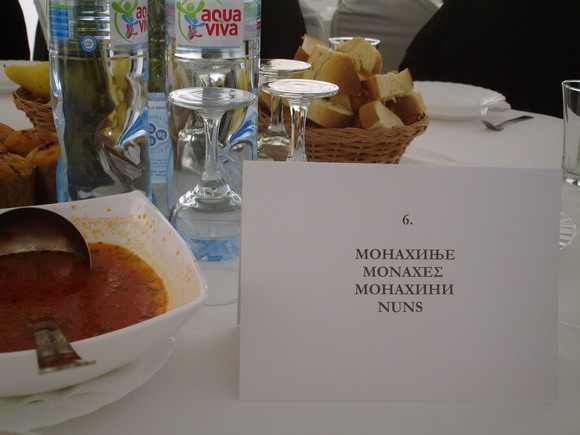 In response to the question of how a women’s monastery might serve the world, he established a few fundamental positions. 1. In the wise book of St. John of the Ladder we read: “Angels are the light of monks, and the monastic life is a light to people living in the world.” This means that the monastic form of life is itself an example for members of the Church who are struggling in the world. The monastic life offers a measure for the life of any Christian. 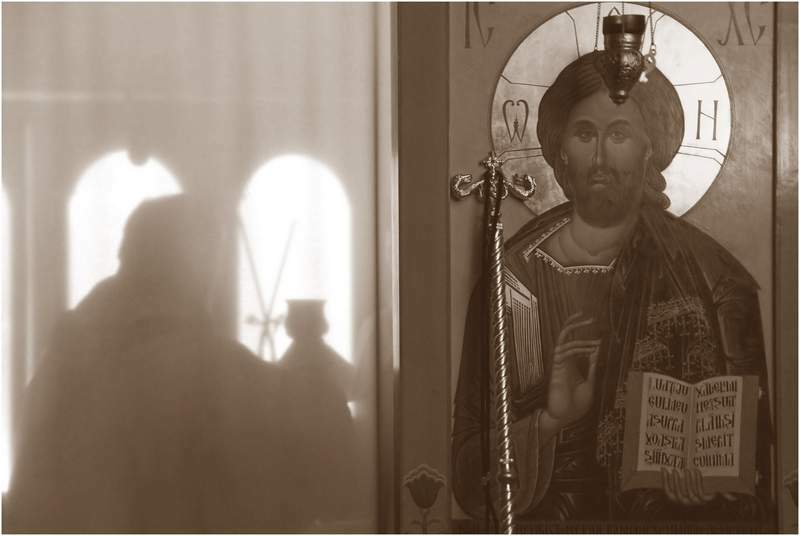 The Church, in essence, is guided by a monastic way of thinking. 2. 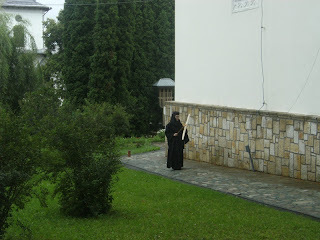 The life of the faithful is supported by the prayers of the monks. This is elucidated by the very fact that the faithful take refuge in such prayers. 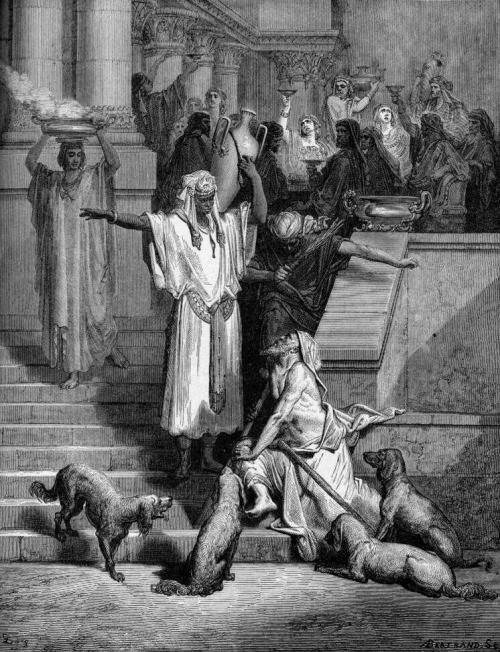 Just as Moses stretched out his hands and the Israelites conquered the Amalekites, so the monastics life up their hands to God and we, the faithful who are struggling in the wilderness of this world, conquer the noetic Amalek. 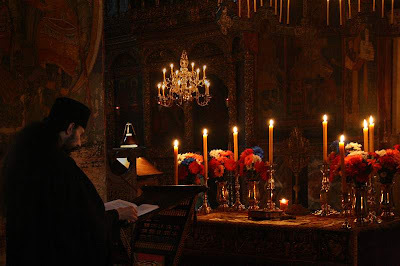 When human strength and even the advice and counsel of spiritual fathers bears no result, then the prayers of the Church, the prayers of the monastic order, which stand unceasingly before God, the prayers of ascetical monastics can bear fruit. The Church is guided more by prayer than by words and sermons. 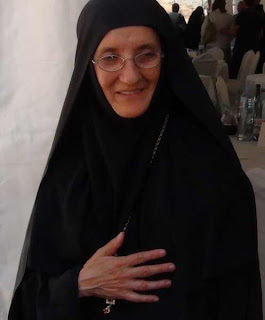 She gains more peace from the prayers of monastics than from the words of even the most talented teachers. 3. 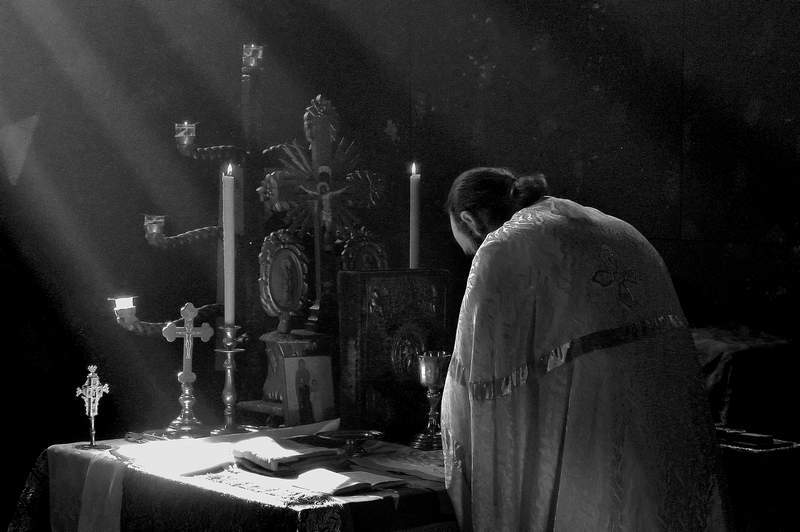 The third element of the monastic life that can truly benefit the struggle of the faithful is the quiet and silence of the monasteries. In such a time in the world that is ruled by great hurry, powerful unrest, competition, many worries, uncontrollable stress, lack of certainty about tomorrow — in such a time the atmosphere of a monastery, where everything happens at its own time, according to a pre-appointed order, where the tenderness of quietude and the dialect of silence establish themselves as the natural and appropriate language of life, where life is untroubled, free from unnecessary information and mindless strivings, the greatest constancy presents itself; In place whose law says that material and bodily goods are not as absolutely necessary as the true and spiritual presence of God, where there is a waiting for the Kingdom of God — this is the most important thing in life; and so, in a such a time in the world as the one we live in, only visiting a monastery can restore the orientation of our lives and bring rest to the heart of the most disturbed man. 4. 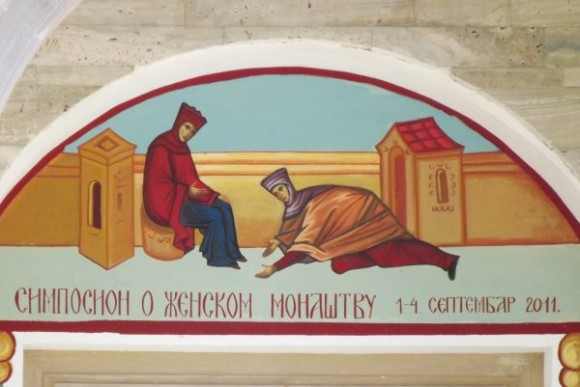 According to tradition, monasteries are distinguished by voluntary poverty, meekness and simplicity of life. It is true that this tradition has declined somewhat in our times. 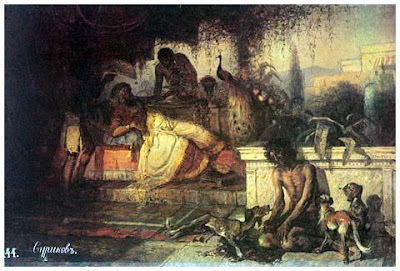 But where it exists, it gives the best answer to all the perversions of hyper-consumption and hedonistic materialism. A minimum of earthly comforts, absence of multifarious worldy ambitions, colors and subjects, a limited number of words, smiles, no tempestuous flow of joys and other feelings, always one and the same order of actions — all this establishes very fine borders for life, exclusively estranged from agitation of the feelings. This is encountered rarely today and offers a special kind of rest. There is not enough of this is today’s way of life, so that every visit to a monastery affords a man rare relaxation and a spiritual foothold: silence of the feelings awakens the inner activity of the soul. Communication with the world works in the opposite way: it awakens external feelings, while deadening the inner ones. 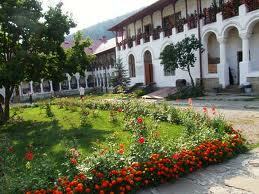 The atmosphere of life in a monastery awakens the inner world and gives vigor to the nature of man. 5. Monastic life is founded on the renunciation of the world, and so presents itself as the renunciation of nature for the sake of surpassing it, in order to find what is above nature. In other words, monasticism contains in itself a deep element of exalted heroism, of real, genuine life. At the same time, the more estranged one is from this world, the more he is able to help this world. 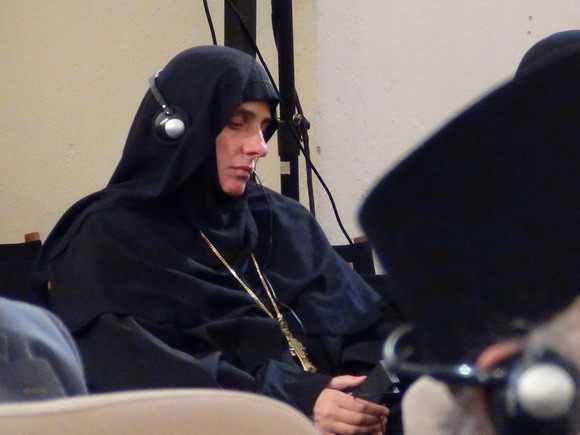 A monk knows the secrets of the human soul, the activity of the passions and the image of the activity of the grace of God, the mysteries and difficulty of the spiritual path. The monk is one has himself struggled and learned much. He is the best psychologist. 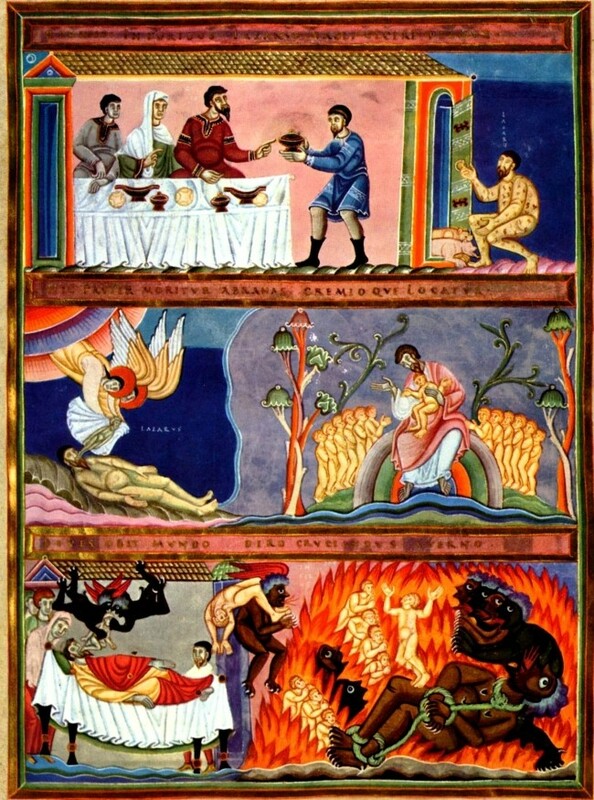 He understands the weak, the antagonistic, the grieved, the burdened and the betrayed, the hungry and the thirsty, the persecuted and unjustly insulted. Is this not the work of a pastor? One of the most impressive and memorable moments of the symposium was the discussion, when all of the participants were able to ask their interesting questions. Some of these, briefly, were: How can we struggle against the contentious quality of the feminine psychology? How can we avoid excessive attachment to the spiritual father? How should we relate to a pyschological ill person in the brotherhood or sisterhood? Zhicha Monastery, founded at the beginning of the thirteenth century by Stefan the First-crowned and St. Sabbas the Serb. 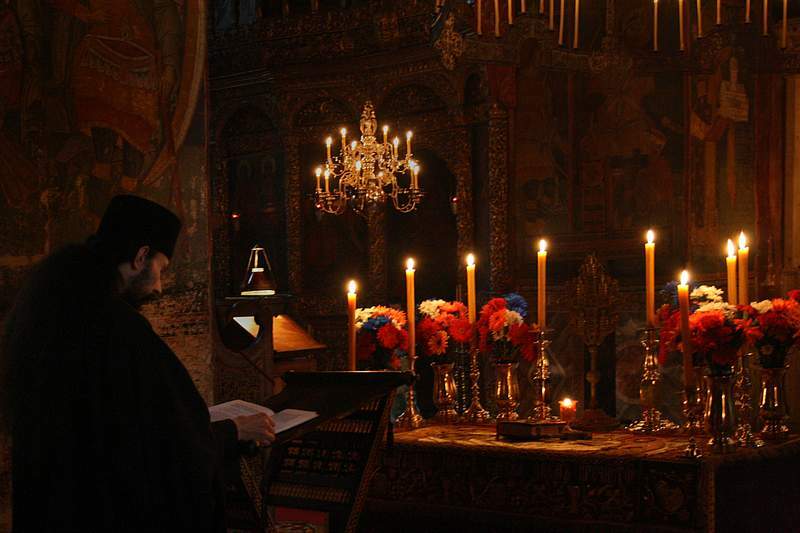 The monastery suffered under the Turkish yoke, during World War II, and during the NATO bombings of 1999. 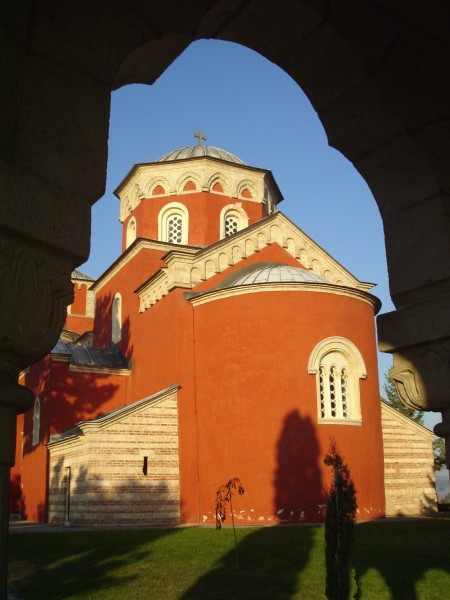 Nevertheless, today the Zhicha monastery is one of the strongest in Serbia, inhabited by forty-five people. Thanks to the labors of Abbess Nikodima and the joyfully ascetical life of her sisterhood, the lives of many women’s monasteries have been renewed, both in Greece itself and in other countries. The divine services, served in the ancient Zhicha church, left a especially deep impression upon all the participants in the symposium. The venerable hierarchs and abbots, giving exclamations in various languages and styles of chant, the ancient frescos — all of this gave a feeling of universal Orthodoxy here and now, in our life. On the northern outskirts of Kiev, amongst the fir and old birch trees, Lesnoe cemetery extends for several kilometers. Deep within it, to the right of the central gates, one of the cemetery plots seems to have broken away from nonexistence and atheistic captivity. It starkly differs from the now customary marble preponderance of brownish-black gravestones and slabs. White crosses on the humble graves speak of eternal life, transfigured and joyful. This cemetery ground belongs to the old Florov Convent, and here rest the nuns and clergy, who died during the latter half of the last century. But let us return to the Lesnoe cemetery. I first visited the Florov plot in the 1990’s, before the breakup of the Soviet Union, when only matushka Alypia’s spiritual children knew about her grave. 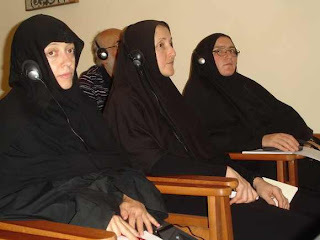 This included several Florov nuns, who led me to the blessed one’s grave. On the way there, they told me about the eldress, how she lived in the hollow of a huge Linden tree on the territory of the Kiev-Caves Lavra until it was closed in 1961, how prayers brought miracles of healing and divine help, and how she could read the hearts of those who came to see her like an open book. 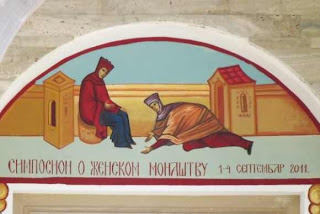 She blessed many for the priesthood and monasticism, tore many from the cold claws of fatal illnesses, and saved many from poverty and crushing failure in life. But more is written about her time in Kiev, from the 1960’s to 1988, for there are documented, attested facts, and many testimonies of her spiritual children and others who associated with her. Matushka wore chains in the form of a huge bundle of keys, and on her chest, under her clothing, she wore an icon. Nearly every day she brought to church bags of bread that people had given her, bought a large number of candles, and placed them before the icons herself. As another aside—long before the former Metropolitan Philaret (Denisensko) led the schism [in the Ukrainian Orthodox Church], she rebuked him one day right during services, and was consequently expelled from the church. 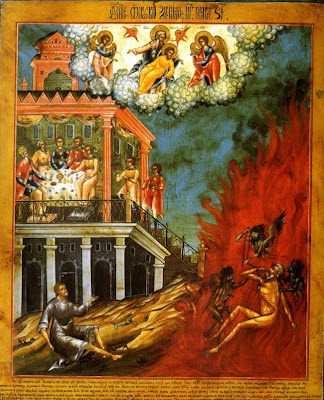 It is also known that on the eve of 1986, the year of the Chernobyl explosion, matushka was very troubled, and kept talking about “terrible fires”. They say that at the beginning of April, 1986, she left her shack in the Goloseyevsky forest and walked around the entire city with her staff, praying for its salvation. I learned much that was miraculous about the blessed one’s life. But at that time, at her grave, it all seemed like a fairy tale. I regarded the nuns’ stories with the doubt of an “educated Soviet journalist”, who was raised in an atheistic environment, although I did go to church. As the Litia for the reposed was being served I looked at the oval photograph of the blessed one on the grave cross, bearing the inscription, “Fear God!” As I learned later, one demonically possessed man had been here a number of times, twisted out the cross and thrown it aside. Apparently this inscription was intended for him, to bring him to reason. The penetrating gaze of the fool-for-Christ reached straight to the heart, and a peaceful calm descended into the soul. Later, while visiting my parents’ grave I went also to matushka’s, where I met Vera Feodorovna Udovichenko, the compiler of a book on Blessed Alypia containing scores of accounts by clergymen, monks, and laypeople—those who knew matushka when she was alive, and those who had been helped by her prayers after her repose. 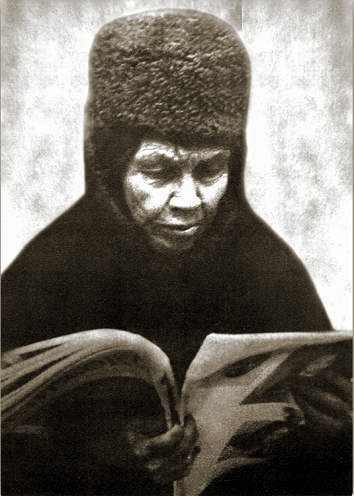 In the book on matushka Alypia are stories of how she helped people in serious life situations—people with one foot in the grave, others who were perishing from drunkenness, yet others who were caught in the nets of sectarianism, had lost children, husbands or wives, or who were facing a complicated life decision and did not know which way to go. Amongst her spiritual children was the former bishop of Tylchinsk and Bratslav, Ippolit (Khilko), now retired. 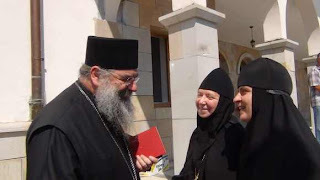 In his recollections of the eldress, Vladyka related how she had foretold that he would become a bishop. 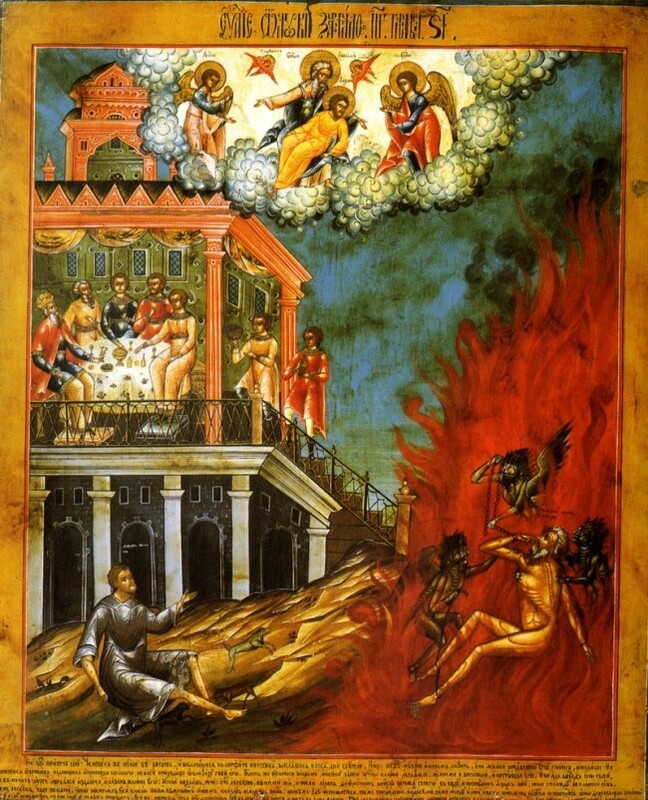 She also told him about the fire that later broke out at the Moscow Theological Academy where he was studying. It happened in 1986, just before the feast of the Exaltation of the Cross, and five students gave up their souls to Christ as a result. The bishop also recounted several other amazing incidents in his life, when by the blessed one’s prayers he was able to save his finger after nearly losing it while using a power saw—it was revealed to her; how she had helped him in his flight to Jerusalem, where he had an obedience in the Russian Orthodox Mission, and many other things. I will relate an episode from their final meeting. 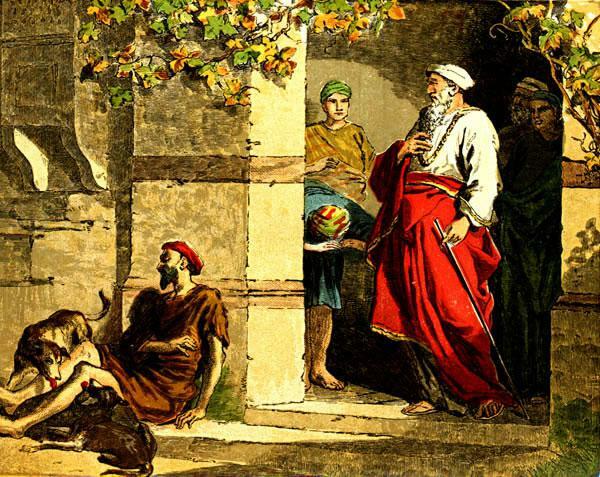 This was before his departure to Jerusalem. Matushka loved flowers, and Vladyka had brought her a bouquet. This was their final meeting on earth. God revealed to the blessed one the time of her imminent repose. Matushka departed to the Lord on October 30, 1988. She asked, “What day of the week is October 30?” She also said that snow would fall at her burial, which did happen. She lives on in the people’s memory. Her name can be heard at the commemorations in all the churches of Kiev, and beyond. An icon has long been painted of the blessed one by those who honor her, and an Akathist has been written to her. But apparently the “fullness of time” unknown to us must first come before her heavenly glorification resounds beneath the arches of our churches. 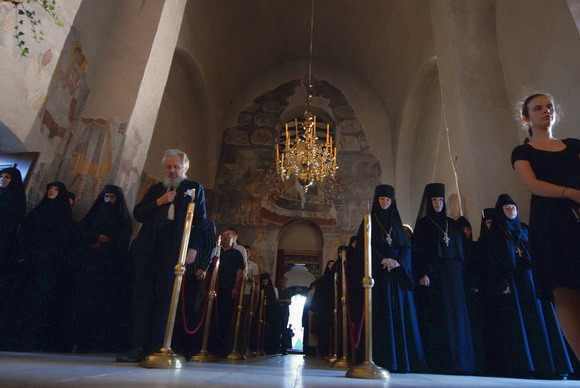 Now the blessed one rests in the lower level of the Protection Church of Goloseyevsky Monastery—her relics were translated there five years ago, in October of 2006, and endless streams of people go there to pray. The monastery is especially filled with people on the day of Mother Alypia’s repose—October 30. ΙΕΡΟ ΓΥΝΑΙΚΕΙΟ ΗΣΥΧΑΣΤΗΡΙΟ Η ΜΕΤΑΜΟΡΦΩΣΙΣ ΤΟΥ ΣΩΤΗΡΟΣ ΜΗΛΕΣΙ ΑΤΤΙΚΗΣ. ΕΚΔΗΛΩΣΕΙΣ ΜΗΝΟΣ ΝΟΕΜΒΡΙΟΥ. Τὸ ἐτήσιο Ἱερὸ Μνημόσυνο τοῦ Γέροντος Πορφυρίου θὰ τελεστεῖ τὴν Κυριακή 27 Νοεμβρίου στὸ Ἱ. Ἡσυχαστήριον "Ἡ Μεταμόρφωσις τοῦ Σωτῆρος"
ΑΓΙΟΓΡΑΦΙΕΣ ΤΗΣ ΠΑΡΑΒΟΛΗΣ ΤΟΥ ΠΛΟΥΣΙΟΥ ΚΑΙ ΤΟΥ ΦΤΩΧΟΥ ΛΑΖΑΡΟΥ. Θα ήθελα να μοιραστώ μαζί σας μια εμπειρία, που βίωσα πριν μερικούς μήνες, για τη θαυματουργική παρέμβαση του π. Πορφυρίου στη θεραπεία της μητέρας μου. Στο επισυναπτόμενο αρχείο περιγράφω τι συνέβη. Το κείμενο αυτό, αν θέλετε, μπορείτε να το δημοσιεύσετε. Είναι τόσο δύσκολο να συνειδητοποιήσεις το θαύμα στη ζωή σου. Και ίσως ακόμη δυσκολότερο, να μεταφέρεις τη συγκίνηση και τη χαρά σου… να καταγράψεις με λόγια, ένα γεγονός ασύλληπτο για τον ανθρώπινο νου. Πρώτα απ’ όλα, αναγνωρίζω την ανθρώπινη προσπάθεια και σέβομαι την ιατρική επιστήμη. Είμαι άνθρωπος χωρίς στέρεη πίστη και χωρίς ενεργή θρησκευτική ζωή. Μέσα μου υπάρχουν αντιδράσεις σε όλες τις μορφές της εξουσίας, κυρίως δε στη θρησκευτική. Δυσκολεύομαι να δεχτώ κανόνες. Όποτε όμως έχω διαβάσει για το βίο και τη διδασκαλία του γέροντα Πορφυρίου, νιώθω την καρδιά μου να γλυκαίνει, να ηρεμεί. Θα ήθελα πολύ να τον είχα γνωρίσει. Εδώ και χρόνια έχω πάντα μαζί μου ένα εικονάκι, μια φωτογραφία του γλυκού μου αυτού γέροντα και δεν την αποχωρίζομαι ποτέ. Και στις δύσκολες στιγμές, όποτε η εγωπάθειά μου το επιτρέπει, του μιλώ, προσεύχομαι. Η γλυκύτητά του γίνεται η γέφυρα για να γνωρίσω την αγάπη του Χριστού. Είναι λίγες μέρες μετά τα Χριστούγεννα του 2010. 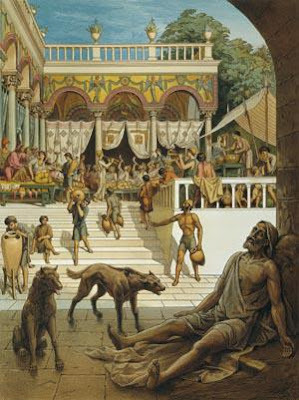 Η μητέρα μου, Αθηνά Κ., καρδιοπαθής εδώ και 3 πλέον χρόνια, με βηματοδότη και 2 στεντ, εισήχθη για άλλη μια φορά στην καρδιολογική κλινική γνωστού νοσοκομείου της Αθήνας, έχοντας έντονη ταχυκαρδία και υψηλή πίεση. Στη συγκεκριμένη κλινική είχε πολλές φορές νοσηλευθεί κατά το παρελθόν. Οι γιατροί αντιμετώπισαν την κατάσταση φαρμακευτικά, προκειμένου να ρυθμίσουν την καρδιακή της λειτουργία. Μετά από λίγες ημέρες νοσηλείας, παρουσίαζε σαφώς έντονη βελτίωση. Ήταν 2/1/11 και πήγαινα να την επισκεφτώ. Μπαίνοντας στο διάδρομο της καρδιολογικής πτέρυγας, βλέπω τους γιατρούς να τρέχουν στο δωμάτιο που νοσηλευόταν. Η μητέρα μου μόλις είχε πάθει κοιλιακή μαρμαρυγή. Δεν ξέρω πόση ώρα πέρασε βλέποντας τους γιατρούς να τρέχουν και να προσπαθούν ξανά και ξανά να επαναφέρουν τον ρυθμό της καρδιάς της. Το κατάφεραν μετά από αρκετές προσπάθειες ηλεκτρικής διέγερσης (απινίδωσης) και μεταφέρθηκε εσπευσμένα στην εντατική κλινική του νοσοκομείου, όπου και διασωληνώθηκε. Η γιατρός με ενημέρωσε ότι είναι πολύ δύσκολη η κατάσταση και ότι παίζονται όλα τα ενδεχόμενα: μπορεί να συμβεί το μοιραίο ή να παραμείνει σε κωματώδη κατάσταση. Αν ποτέ συνερχόταν, δεν ξέραμε σε τι κατάσταση θα ήταν. Ήταν πολύ πιθανό να έχει υποστεί βλάβη ο εγκέφαλος και να μην είναι σε θέση να επικοινωνεί με το περιβάλλον. Ελάχιστες οι πιθανότητες για αίσια έκβαση. Το σημαντικό για τη στιγμή εκείνη ήταν να σταθεροποιηθεί η κατάστασή της και να μην υπάρξει περαιτέρω επιδείνωση. Το χειρότερο που θα μπορούσε να της συμβεί, θα ήταν να πέσει σε ηλεκτρική θύελλα (μια πολύ επικίνδυνη κατάσταση κατά την οποία η καρδιά πλήττεται από έντονη και χαοτική ηλεκτρική δραστηριότητα). Έπρεπε να ενημερώσουμε τους συγγενείς και γενικά να είμαστε έτοιμοι για κάθε ενδεχόμενο. Είναι πολύ σκληρό να βλέπεις τον άνθρωπό σου σε αυτή την κατάσταση. Διασωληνωμένο, να μην επικοινωνεί, να μην νιώθεις ζεστασιά στο σώμα του και τις ιατρικές προβλέψεις να είναι δυσοίωνες. Μόνη μου ελπίδα ο Θεός… Ζήτησα άδεια από το προσωπικό της εντατικής να μου επιτρέψουν να βάλω το εικονάκι του πατρός Πορφυρίου στο προσκέφαλο της μητέρας μου. Η αντίδρασή τους ήταν… « Και δεν το βάζεις… ό,τι και να βάλεις τώρα…». Με τη σκέψη πως θα είναι δίπλα της, γαλήνευε κάπως η ψυχή μου. Δίπλα στο κρύο σώμα της μητέρας μου ήταν τώρα η ζεστή ματιά του γέροντα Πορφυρίου. Παρά τις ιατρικές προσπάθειες και τις αγωνιώδεις προσευχές συγγενών και φίλων, η υγεία της μητέρας μου δεν παρουσίαζε καμμία βελτίωση. Παρέμεινε διασωληνωμένη για 5 ολόκληρες ημέρες. Καμία επικοινωνία με το περιβάλλον, καμμία θετική ανταπόκριση. Καμμία δυνατότητα αποσωλήνωσης. Στις 7/1/11 πέφτει σε ηλεκτρική θύελλα… ό,τι χειρότερο μπορούσε να συμβεί. Οι γιατροί της εντατικής μας πληροφόρησαν ότι πρέπει να ενημερώσουμε τους συγγενείς. Ουσιαστικά πια δεν έβλεπαν στην περίπτωσή της «φως». Πήγα στην εκκλησία του νοσοκομείου. Εκεί συνάντησα τη διακόνισσα, τη γλυκειά Δήμητρα. Της εξήγησα ότι είναι πολύ σημαντικό για μένα να προσευχηθώ κι ότι χρειάζομαι κάποια εικόνα του πατρός Πορφυρίου. Καθώς όμως δεν είναι επίσημα άγιος, δεν υπήρχε εικόνα του. Αίφνης θυμήθηκα ότι στο συγκεκριμένο εκκλησάκι υπάρχει βιβλιοθήκη, στην οποία παλαιότερα είχα δει ένα βιβλίο για τον γέροντα Πορφύριο. Της ζήτησα να μου ανοίξει τη βιβλιοθήκη. Άρπαξα με λαχτάρα το βιβλίο. Άφησα το βλέμμα μου να καρφωθεί σε μια φωτογραφία του. Η ψυχή μου λυγισμένη από την αγωνία και τον πόνο ικέτευσε για την μητέρα μου. Να αντέξει η καρδιά της, να της δοθεί κι άλλος χρόνος ζωής. Εναπέθεσα όλη μου την ελπίδα στο θέλημα του Θεού και ικέτευσα για το έλεός Του. Ήταν 1.30 το μεσημέρι και μέχρι τις 5.30 το απόγευμα ‐όπου είναι το επισκεπτήριο για τους συγγενείς, δεν είχα κάτι άλλο να κάνω. Την πήρα στα χέρια μου και την κοίταζα σαν χαμένη. Ακριβώς εκείνη τη στιγμή χτυπά το κινητό μου. Ήταν η αδελφή μου που είχε παραμείνει στο νοσοκομείο. Μόλις είχε βγει ο γιατρός της εντατικής και την ενημέρωσε ότι η μητέρα μου είχε συνέλθει, είχε βγει από την κατάσταση της ηλεκτρικής θύελλας! Δεν υπάρχουν λόγια να χωρέσουν το δέος, την ευγνωμοσύνη και την παρουσία του Θεού εκείνη τη στιγμή στη ζωή μου. Οι ιδιοκτήτες του σπιτιού απόρησαν. Πρώτη φορά έβλεπαν αυτή την εικόνα. Από εκείνη την ώρα η μητέρα μου άρχισε να παρουσιάζει βελτίωση. Τις αμέσως επόμενες μέρες έγινε η αποσωλήνωση και εν συνεχεία βγήκε από την εντατική. Επικοινωνούσε κανονικά με το περιβάλλον, ο εγκέφαλος δεν υπέστη βλάβη παρά τα παραπάνω έντονα επεισόδια. Ο υπεύθυνος της εντατικής χαρακτήρισε «πολύ θαύμα» τόσο το γεγονός ότι έζησε, καθώς και την ξαφνική βελτίωση της υγείας της μητέρας μου. Χαρακτηριστικά – αναφερόμενος στο ιατρικό προσωπικό – είπε «Εμείς, την είχαμε ξεγράψει!». Λίγες μέρες μετά επισκέφθηκα το Ησυχαστήριο Μεταμορφώσεως του Σωτήρος στο Μήλεσι για να προσκυνήσω στο κελλί του Γέροντα Πορφυρίου. Πλησίασα τη γερόντισσα που εκείνη την ώρα συνομιλούσε με μια κυρία. Της είπα με δυο λόγια τι συνέβη και πως με το θαύμα του γέροντα Πορφυρίου η μητέρα μου ζει. Έκπληκτη η κυρία που ήταν δίπλα στη γερόντισσα είπε «Είμαι γιατρός σε αυτό το νοσοκομείο»! Όσο για μένα, φέρνοντας ξανά στο μυαλό μου όλη αυτή την εμπειρία, στην προσπάθειά μου να σας τη μεταφέρω προς δόξα και τιμή του πατρός Πορφυρίου, ελπίζω και εύχομαι αυτό το θαύμα να μην «θαφτεί» μέσα μου. Να μου θυμίζει διαρκώς πόσο ζωντανή είναι η Ορθοδοξία μας και πόσο δυνατή είναι η παρουσία Χριστού στη ζωή μας. Ελπίζω να συντελεστεί ένα ακόμα μεγαλύτερο θαύμα στη ζωή μου: αυτό της μετάνοιάς μου και της ενεργούς συμμετοχής μου στην θρησκευτική και μυστηριακή ζωή της Πίστης μας. Μοναχός Τρύφων «Τελειωθείς εν ολίγω πλήρωσε χρόνους μακρούς», όπως λέγει ό προφήτης Σολομών. Στον μοναχό π. Τρύφωνα εκπληρώνεται επακριβώς ό λόγος του Κυρίου μας Ιησού Χρίστου, πού λέγει ότι «οι πρώτοι θα γίνουν έσχατοι και οι έσχατοι πρώτοι». Αυτός ήταν μία μορφή καλοσυνάτου μοναχού, πού προώδευσε πνευματικά στα βαθειά του γεράματα, αφού έζησε λίγα χρόνια στο μοναστήρι. «Τελειωθείς εν ολίγω πλήρωσε χρόνους μακρούς», όπως λέγει ό προφήτης Σολομών. Πράγματι, ό π. Τρύφων ήλθε γέρος στην μοναχική άσκηση. Δεν εισήλθε από νέος στην μεγάλη πόρτα της Μονής. Δεν έζησε κοντά σε κάποιον έμπειρο μοναχό σαν μαθητής του. Δεν μεγάλωσε κοντά σε φημισμένους και μορφωμένους Γέροντες. Δεν γνώρισε τις μεγάλες δύσκολες μάχες των μοναχών της νεανικής τους ηλικίας. Δεν έπιασε από μικρός στο χέρι το κομποσκοίνι, το Ψαλτήρι, τον κανόνα της νηστείας, την καλογερική πτώχεια. 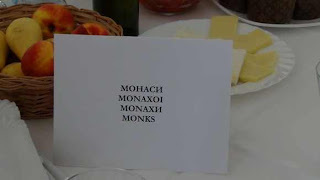 Όχι. Απ' όλα αυτά ήταν ξένος ό π. Τρύφων. Καταγόταν από την πόλι Τίργκου Ντζίου. Από μικρός ασχολήθηκε στον κόσμο με το εμπόριο, με την μάχη για την ύπαρξη στην ζωή. Νυμφεύθηκε και απέκτησε τρία παιδιά. Όλα έμαθαν γράμματα. Το επάγγελμα του στην κοσμική του ζωή του ήτο μάγειρας σ' ένα εξοχικό εστιατόριο. Κανείς ανάμεσα στους υπαλλήλους και στον λοιπό κόσμο, πού τον γνώριζαν, δεν μπορούσε να διανοηθεί ότι ό μάγειρας τους ήταν π.χ. άδικος, γκρινιάρης, άπιστος ή κλέπτης ή γαστρίμαργος. Διότι πράγματι ήταν άνθρωπος του Θεού, αξιοτίμητος, αγαπητός σε όλους και γνήσιο πνευματικό τέκνο της Εκκλησίας του Χριστού. Αφού τακτοποίησε τα παιδιά του και τα υπάνδρευσε, μετά από λίγο καιρό απέθανε και ή γυναίκα του, και ό καλός αυτός χριστιανός απεφάσισε ν' αφήσει τον κόσμο. Και ήλθε στην μονή Τισμάνα την 11ην ώρα της ζωής του. Ήταν το 1934. Την επόμενη χρονιά εκάρη μοναχός και έζησε στην Μονή δέκα ακριβώς χρόνια. Το δεκαετές αυτό και τελευταίο διάστημα της ζωής του το αφιέρωσε και πάλι με εντολή του ηγουμένου στην διακονία του μαγειρείου της Μονής του. Στο διάστημα αυτό έζησε παραδειγματική ζωή, με σπάνια μοναχική άσκηση. Σιωπούσε, προσευχόταν, νήστευε, αγρυπνούσε, βοηθούσε στην εκκλησία, δεν απουσίαζε από τις ακολουθίες και κοινωνούσε συχνά των Άχραντων Μυστηρίων. Ας διαβάσουμε παρακάτω τί έγραψε ένας αυτόπτης μάρτυς, ό άρχιμ. π. Ίωάσαφ Γκανέα, ό όποιος στην εποχή του γερο-Τρύφωνος ήτο φοιτητής και έμενε μερικές φορές στο μοναστήρι αυτό: «Ήταν στο Τισμάνα ένας μάγειρας, του οποίου το μνήμα είναι εκεί ανάμεσα στα άλλα των Πατέρων, ό π. Τρύφων Βοϊκολέσκου. Αυτός ό άνθρωπος, πριν γίνει μοναχός, ήτο πρώτος και υπεύθυνος μάγειρας στο τάδε εστιατόριο της πόλεως Τίργκου Ντζίου. Το 1934 εγκατέλειψε τα πάντα, και ασπάσθηκε το αγγελικό σχήμα των μοναχών το 1935. Από τότε μέχρι τον θάνατο του ήταν ό μάγειρας της μονής Τισμάνα. Δεν γνωρίζω πότε εκοιμάτο και πότε αναπαυόταν. Στην εκκλησία ερχόταν ανελλιπώς, ήμερα και νύκτα. Παρά τα γεράματα του ανέβαινε πολλές φορές τις σκάλες του καμπαναριού για να κτυπήσει τις καμπάνες, μετά τον κόπανο, το σιδεράκι, οι όποιες ακούονταν από πολύ μακριά. Άλλοτε τον έβλεπες στο μαγειρείο να μαγειρεύει και τις νύκτες να ευρίσκεται στην εκκλησία και να προσεύχεται. Ένα τέτοιο μάγειρα, φθασμένο στην αρετή και στην αγιότητα, συνάντησα και στην μονή Τσερνίκα. Μου άρεσε πολύ ή ζωή του π. Τρύφωνος. Ήταν ένα πρότυπο στην ζωή μου και πολύ με ωφελούσε. Όταν τον έβλεπα με το ωχρό πάντα πρόσωπο του, με έντονα τα σημεία της νηστείας στην μορφή του, ενθυμούμουν τούς μεγάλους ασκητές των μεγάλων κοινοβίων του αγίου Παχωμίου, του αγίου Ευθυμίου και άλλων. Δεν είχα την παραμικρή αμφιβολία στην ψυχή μου ότι κι αυτός ό γέροντας της μονής Τισμάνα, ήτο μεγάλος αγωνιστής στην νηστεία, στην προσευχή και στην υπακοή. Όταν έκοιμήθη, πολλά λουλούδια και κρίνα βάλαμε δίπλα του, και μέσα στο τάφο του όταν τον θάπταμε. Περισσότερο κλαίγαμε παρά ψάλλαμε. Όλοι τον αγαπούσαμε και τον θεωρούσαμε σαν το πιο πολύτιμο μαργαριτάρι της Μονής μας, κι αυτό για την αγία και ταπεινή ζωή του. Ό π. Τρύφων ήτο άρρωστος στο συκώτι και παρ' όλα αυτά βίαζε τον εαυτό του και κατέβαινε στο μαγειρείο να μαγειρεύει καθημερινά. Τότε εγώ ήμουν φοιτητής». Ιδού λοιπόν, ότι ό Θεός δεν ζητεί μακρότητα ήμερων και ετών στη μοναχική ζωή, αλλά να προσφέρουμε ολόκληρη την ψυχή μας σ' Αυτόν. Ό π. Τρύφων εργάσθηκε στο πιο δύσκολο διακόνημα της Μονής. δούλευε ήμερα και νύκτα για τούς άλλους, υποδεχόταν στο μαγειρείο Πατέρες και λαϊκούς χριστιανούς, παρηγορούσε τούς πτωχούς και τούς βοηθούσε ποικιλοτρόπως. Έκανε ότι ημπορούσε. Το έτος 1944 ό π. Τρύφων μετέβη στον Κύριο. Είθε ή ταπεινή του ψυχή να προσεύχεται στον ουρανό για τις ψυχές όλων μας. Ο ΙΕΡΟΜΟΝΑΧΟΣ ΙΕΡΩΝΥΜΟΣ ΠΟΥ ΚΡΑΤΟΥΣΕ ΜΙΑ ΑΛΕΠΟΥ ΑΠΟ ΤΟ ΛΑΙΜΟ. Αυτός ό πατήρ καταγόταν από την Τρανσυλβανία (Δυτική Ρουμανία). Ήταν νυμφευμένος και ασχολείτο με την κτηνοτροφία. Κάθε ήμερα πήγαινε στο δάσος με τα πρόβατα. Περπατούσε τα καλοκαίρια στα βουνά με τα πρόβατα του, ενώ τον χειμώνα κατέβαινε στο χωριό του. -Γυναίκα, εγώ δεν στενοχωρούμαι μ' αυτό το έργο πού κάνεις. Ζήσε με όποιον θέλεις. Ό Θεός θα σε κρίνει, όπως εκείνος γνωρίζει. Εγώ από σήμερα σε αφήνω και πηγαίνω στο μοναστήρι. Και ήλθε ό αδελφός Ιωάννης στην Σκήτη Πέστερα (στα ελληνικά σπηλιά). Τότε ήταν το έτος 1910. Στην αρχή ήταν μαθητής του ταπεινού μοναχού Ίωήλ. Κατόπιν έκάρη μοναχός και έλαβε το όνομα Ιερώνυμος. Μετά από λίγα χρόνια, βλέποντας οι Πατέρες την υπακοή και υπομονή του, τον χειροτόνησαν ιερέα και κατόπιν τον εξέλεξαν και ηγούμενο τους. Και έκτοτε αγωνιζόταν ό π. Ιερώνυμος για να ειρηνεύει όλους και επέβαλλε στους χριστιανούς πού ήρχοντο, να ακολουθούν την τάξι της εκκλησίας. Επίσης κρατούσε ό ίδιος τον κανόνα των προσευχών του, πράγμα το όποιον απαιτούσε κι από τούς μοναχούς του. Οι χριστιανοί έτρεχαν στον Γέροντα για εξομολόγηση και κατόπιν στην εκκλησία ελάμβαναν την Θεία Κοινωνία. Μαζί τους έφερναν δώρα και χρήματα στην Μονή, για την ανάγνωση των ονομάτων τους. -Πάτερ ηγούμενε, αιχμαλωτίσθηκες από την φιλαργυρία. Σε είδα να κρατάς μία αλεπού από τον λαιμό! Είναι καλύτερα να τα δίνεις στους πτωχούς, διότι στενοχωρείς τον Χριστό και ή ψυχή σου ευρίσκεται σε κίνδυνο. Από εκείνη την ώρα ό ηγούμενος μετανόησε και δεν κρατούσε πλέον χρήματα. -Όταν έρχονται ληστές, μη φεύγεις, ούτε να φοβάσαι. Μόνο να κτυπάς τις καμπάνες! -Ιδού, αυτοί οι μοναχοί έχουν στρατό ετοιμοπόλεμο! Αυτός ό άξιος ηγούμενος τελειώθηκε σε βαθειά γεράματα. 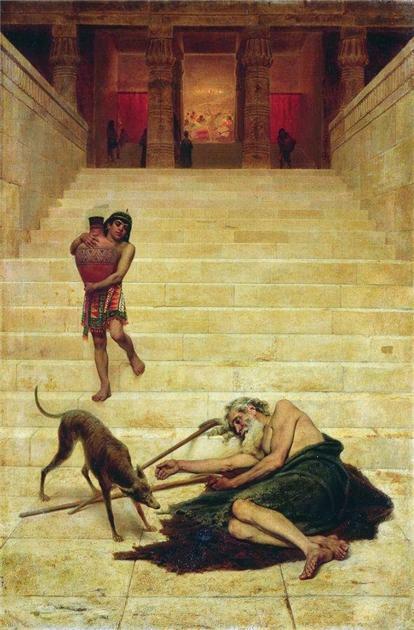 ΒΙΒΛ. ΟΣΙΑΚΕΣ ΜΟΡΦΕΣ ΤΟΥ ΡΟΥΜΑΝΙΚΟΥ ΜΟΝΑΧΙΣΜΟΥ. "ΟΡΘΟΔΟΞΟΣ ΚΥΨΕΛΗ"
ΜΟΝΑΧΗ ΑΓΑΘΗ ΗΛΙΕ Η ΜΗΤΕΡΑ ΤΟΥ ΟΣΙΟΥ ΗΣΥΧΑΣΤΟΥ ΚΛΕΟΠΑ ΗΛΙΕ. Η ΓΥΝΑΙΚΑ ΠΟΥ ΕΧΑΣΕ ΤΑ 9 ΑΠΟ ΤΑ 10 ΠΑΙΔΙΑ ΤΗΣ. Δεν ημπορούμε εδώ να μη μνημονεύσουμε και την μοναχή Άγάθη Ήλιε, την κατά σάρκα μητέρα του μεγαλυτέρου ησυχαστού των νεωτέρων χρόνων στην Ρουμανία, του άρχιμ. όσιου Γέροντος Κλεόπα Ήλίε. Αλλά ό Καλός Θεός, του οποίου τα κρίματα είναι ωκεανός ανεξερεύνητος, επέτρεψε να πιει αυτή ή ευσεβέστατη οικογένεια πολλά πικρά ποτήρια. Τα παιδιά τους ένα ένα τα έπαιρνε από την ζωή, στο άνθος της νεότητός τους, όπως συνέβη κάποτε και με τα παιδιά του Ιώβ. Μόνο ένα παιδί τους έμεινε κοντά τους. Αρχίζοντας από το 1915 μέχρι το 1935 άρχιζαν τα παιδιά τους να φεύγουν από την ζωή με το θέλημα του Θεού. Ό γιός τους Ιωάννης απέθανε σε ηλικία 16 ετών. Μετά από ένα χρόνο απέθανε ή κόρη τους Πορφυρία σε ηλικία 18 ετών. Μετά από δύο χρόνια απέθανε ή Μαρία, σε ηλικία 26 ετών. Ή καημένη ή μητέρα τους, ή κ. Μαρία, έκλαιγε συνεχώς για τα χαμένα παιδιά της. Κάθε φορά πήγαινε στην σκήτη, και ό Γέροντας Παΐσιος την παρηγορούσε λέγοντας της ότι στέλνει αγγέλους στον ουρανό. Μετά από λίγα χρόνια άρχισε να κλαίει και πάλι ή μητέρα τους Μαρία, διότι τώρα δύο αγόρια της, ό Βασίλειος και ό Γεώργιος έφυγαν για την μονή Συχαστρία να γίνουν μοναχοί. Το 1931, ήλθε και πάλι στην σκήτη ή κ. Μαρία, διότι έμαθε ότι ό γιός της, ό μοναχός Βασίλειος, απέθανε. Μετά από δύο χρόνια ή ίδια δοκιμασία της συνέβη με τον θάνατο του Γεωργίου, πού είχε γίνει μοναχός και είχε όνομασθή Γεράσιμος. Μετά από ένα χρόνο έτρεχε και πάλι στην σκήτη ή κ. Μαρία να παρηγηρηθή διότι απέθανε ή κόρη της Αικατερίνη. Ήτο 20 ετών και είχε μπει στην μονή Άγαπία σαν δόκιμη μοναχή. Της πέθαναν οκτώ παιδιά και απέμεινε με δύο. «Τα παιδιά σου ψάλλουν τον Θεό σαν άγγελοι στον ουρανό, μάμα Μαρία. Εκεί θα συναντηθείτε», της έλεγε για να την παρηγορήσει κάθε φορά ό π. Παΐσιος Όλάρου. Το 1949 ήλθε πάλι ή κ. Μαρία στον π. Παΐσιο να τον πληροφορήσει ότι έφυγε για τον Κύριο και ό 9ος γιός της, ό Μιχάλης. Και πάλι ό π. Παΐσιος να την παρήγορη λέγοντας της: «Τα 9 παιδιά σου πήγαν στον Κύριο και έχουν φορέσει εννέα μαρτυρικά στεφάνια». Μετά από λίγο καιρό απέθανε και ό άνδρας της, ό Αλέξανδρος. Ό τελευταίος υιός της ό Κωστάκης είχε ήδη φύγει για δόκιμος στο μοναστήρι. Είναι ό μετέπειτα μεγάλος Γέροντας της Ρουμανικής Εκκλησίας, ό όσιος π. Κλεόπας Ήλίε. Ή πονεμένη μάνα, Μαρία, ζητεί την συμβουλή του Πνευματικού της, τί να κάνη, διότι ό Δόκιμος Κωστάκης την καλεί να τον ακολουθήσει στον μοναχικό βίο. -Πήγαινε, μητέρα Μαρία, να γίνεις και εσύ μοναχή και προσευχήσου για ζωντανούς και πεθαμένους. Έτσι τον χειμώνα του 1946 ή γιαγιά Μαρία, σε ηλικία 70 ετών, επήγε πρώτα στην Συχαστρία να προσκύνηση τούς τάφους των δύο παιδιών της. Κατόπιν με την καρότσα επήγε στην μονή Παλαιά Άγαπία, όπου έμεινε οριστικά. Έγινε μοναχή με το όνομα Άγάθη και έζησε άλλα 22 χρόνια. Βέβαια δεν μπορούσε να διαβάζει βιβλία, ούτε ακολουθίες στην εκκλησία. Δεν ήξερε να διαβάζει. Αυτό πού την χαρακτήριζε ήταν ή καλοσύνη της και ή αθωότητα της ψυχής της. Είχε μία παιδική ψυχή, χωρίς κακία, χωρίς υπερηφάνεια, χωρίς κακές σκέψεις στο μυαλό της. πίστευε οτιδήποτε της έλεγαν, υπάκουε σε όποιον την διέταζε να κάνη κάτι, αγαπούσε όλους τούς ανθρώπους, χωρίς διακρίσεις, συνομιλούσε με όλους και έκλαιγε μπροστά στην συμφορά και τον πόνο του κάθε άνθρωπου. Μία άλλη απασχόλησης της ήταν να πηγαίνει ενίοτε στο δάσος για όλη την ήμερα, να συγκεντρώνει ξυλαράκια για το μαγειρείο, να προσεύχεται και το βράδυ να επιστρέφει με την δύσι του ηλίου. Μόνη παρηγοριά της τώρα ήταν ή εκκλησία και οι αδελφές πού την διακονούσαν στο κελί της. πέρασε τα 22 αυτά χρόνια της μοναχικής της ζωής με ταπείνωση, προσευχή, σιωπή, αγάπη, ησυχία και πνευματική ειρήνη. Ή Παλαιά Άγαπία ήταν γι' αυτήν ένα λιμάνι σωτηρίας. Εδώ ή γερόντισσα Άγάθη γνώρισε στα γεράματα της ένα άλλο κόσμο, τον κόσμο του Θεού. Εδώ εύρήκε την αληθινή ειρήνη του Θεού και ήταν ευτυχισμένη. Τα παιδιά της, σχεδόν όλα, τα έστειλε στον ουρανό, πριν να πάη ή ίδια. Δεν τα μόλυνε ή ανομία του κόσμου, δεν τα πότισε το φαρμάκι της κοσμικής ζωής. Δεν υπέφεραν στην ζωή τους. Τώρα ή μητέρα τους προσεύχεται για όλα αυτά. Στο μοναστήρι εύρήκε την ειρήνη και την ελπίδα της σωτηρίας της. Το καλοκαίρι του 1968 ή μοναχή Άγάθη αισθανόταν μεγάλη αδυναμία. Μόλις πού εξερχόταν για λίγο στον εξώστη του κελιού της να ζεσταθεί από τις ακτίνες του ηλίου. Για μερικές ήμερες έπεσε στο κρεβάτι. -Γερόντισσα Άγάθη, δεν θα φας λίγο φαγητό; Να μερικά μήλα. -Μήλα έχω να φάω στον παράδεισο, όπου φεύγω σε λίγο, απήντησε. -Και πράγματι, στις 15 Σεπτεμβρίου του 1968 πέρασε ή ψυχή της στην άλλη ζωή, στην ηλικία των 92 ετών. Ήλθε και την αποχαιρέτισε όλη ή Αδελφότης της Μονής και την συνόδευαν μέχρι την τελευταία της κατοικία με δάκρυα χαράς, με ψαλμωδίες, με λαμπάδες και θυμιάματα και με το κτύπημα των καμπάνων μέσα στην χαρά και την ειρήνη του Χριστού. Φοβούμεθα ότι θ' αμαρτήσουμε εάν περάσουμε με σιωπή το όνομα, την ζωή και το τέλος του π. Ιουστινιανού από την μονή Τσερνίκα, ενός θαυμαστού μοναχού των ήμερων μας. Γεννήθηκε στα μέρη της πόλεως Μπράιλα από πολύ ευσεβείς γονείς, ό Ιουστίνος, όπως ονομάστηκε στο βάπτισμα του, ό όποιος από την παιδική του ηλικία επιδόθηκε σε πολλές σπουδές. Όντας ευφυής εκ φύσεως, επέτυχε να τελειώσει πολύ καλά τις έξης σχολές: Την Εμπορική Ακαδημία, την Φιλοσοφική Σχολή, την Νομική και τέλος την Θεολογία. Εργάσθηκε σαν διευθυντής και κατόπιν σαν υπουργός στο υπουργείο της Εθνικής Οικονομίας. Παράλληλα ήταν και συγγραφεύς βιβλίων. Έγραψε πέντε φιλοσοφικά βιβλία, τα όποια και τυπώθηκαν. Το έτος 1941 νυμφεύθηκε. Ήταν στο λιμάνι της Κωστάντζας. Εκεί είδε μία νέα κοπέλα, ή οποία κρατούσε την βαλίτσα της και έκλαιγε. Την ερώτησε την αιτία της στενοχώριας της και του απήντησε ότι δεν είχε να πλήρωση χρήματα στο τελωνείο για τα πράγματα της. Εκείνος την παρηγόρησε και της πλήρωσε τον φόρο για τα πράγματα της. Επειδή την συμπάθησε και ήθελε να την σώσει από τον αμαρτωλό κόσμο, την νυμφεύθηκε κανονικά στην εκκλησία, χωρίς όμως να θελήσει να έλθει και σε σωματική συνάφεια μαζί της. Την πήρε μαζί του για να την διαφύλαξη από τις παγίδες του κόσμου. Και ζούσαν μαζί σαν αδέλφια με νηστείες, προσευχές και μυστηριακή ζωή. Από την φύση του και την εκ των γονέων του χριστιανική ανατροφή δεν αγαπούσε τον θόρυβο και την ζωή του κόσμου. Αγαπούσε την ησυχία, την μοναξιά, την εκκλησία και την προσευχή. Δεν εσυγκινείτο από τις κοσμικές τιμές, από τα χρήματα, τα καλά ρούχα, τις συγγένειες και τις φιλίες των ανθρώπων. Κάποτε ευρισκόταν σ' ένα κεντρικό δρόμο της πόλεως του Βουκουρεστίου και κραύγαζε: «Είμαι ένας αμαρτωλός, ένας μεγάλος αμαρτωλός, ένας μεγάλος αμαρτωλός! Εγώ έχω τόσα χρήματα μισθό τον μήνα και άλλοι δεν έχουν τίποτε και πεθαίνουν από την πείνα ». Από τότε στην ζωή του εξάσκησε την μεγάλη αρετή της ελεημοσύνης. Χωρίς διάκριση, αγαπούσε το κάθε πλάσμα του Θεού στην οποιαδήποτε δυσκολία του. Έβλεπε ένα πτωχό στον δρόμο ή ένα ζητιάνο; Του έδινε κάτι από τα χρήματα του. Εάν τα χρήματα πού είχε, τελείωναν στον δρόμο, τούς έδινε την διεύθυνση του να τον επισκεφτούν στο σπίτι του την επόμενη ήμερα. Μία φορά επήρε από τον δρόμο ένα πτωχό και τον μετέφερε στην γωνία του δρόμου. Χωρίς να τον βλέπουν άλλοι, έβγαλε τα ρούχα του και τα παπούτσια του, του τα έδωσε και γύρισε σπίτι του ξυπόλητος και μόνο με το παντελόνι του. Τον μάλωναν ή σύζυγος του και οι συγγενείς του, άλλ' αυτός δεν άκουε κανέναν. Δεν μπορούσε να κοιμηθεί, όταν ήξερε, ότι άλλοι δεν έχουν τί να φάνε. Την ήμερα λοιπόν πού έπαιρνε από το υπουργείο τον μισθό του, ήδη είχαν φθάσει και περίμεναν έξω από το σπίτι του εκατοντάδες πτωχοί, κουρελιασμένοι, παράλυτοι, ορφανά και χήρες. Τούς βοηθούσε με ρούχα, χρήματα και φαγητά, χωρίς να ερωτά ούτε τα ονόματα τους, ούτε να περιμένει να τον ευχαριστήσουν. Το έτος 1950 ό ταπεινός αυτός δούλος τού Θεού Ιουστίνος αποφάσισε με την σύζυγο του να εγκαταλείψουν τον κόσμο και να φύγουν και οι δύο σε μοναστήρια για την σωτηρία των ψυχών τους. Εκείνος πήγε στην μονή Τσερνίκα, 12 χιλιόμετρα έξω από το Βουκουρέστι, και εκείνη στην μονή Τσιγανέστ, 50 χιλιόμετρα μακρύτερα. Τώρα ή ζωή τού Ιουστίνου άρχισε να αλλάζει κάθε ήμερα και περισσότερο. Ήταν τακτικός στην εκκλησία, ντυμένος με τα απλοϊκά ρούχα τού δοκίμου μοναχού. Μυστικός και ταπεινός όπως ήταν, αγωνιζόταν τις νύκτες στο κελί του με προσευχή και νηστεία. Διακονούσε στην εκκλησία και κατόπιν στο μαγειρείο και σαν μοναχός στην γραμματεία της Μονής. Ήτο ό πιο ταπεινός και πτωχός μοναχός ανάμεσα σ' όλη την αδελφότητα των 100 περίπου μοναχών. Το κελί του ήταν πάντα ανοικτό, διότι δεν είχε τίποτε να κλείδωση και να κρύψει. Έτρωγε μία φορά την ήμερα, μετά την δύσι τού ηλίου, ψημένες πατάτες στα κάρβουνα. Κοιμόταν σε μία σανίδα, πού ήταν σκεπασμένη με μία ψάθα, πρεσαρισμένη στα άκρα της κρεατοσανίδας. Όταν τον ερώτησαν γιατί κοιμάται τόσο σκληρά, απήντησε: «Για να μη κοιμάμαι πολύ, διότι ό ύπνος μάς οδηγεί στον άδη». γνώρισε και προσωπικά την φρίκη των κομμουνιστικών φυλακών, όταν για την πίστη του και την μοναχική του ιδιότητα, συνελήφθη και οδηγήθηκε εκεί, όπου υπέστη πολλά βασανιστήρια. Ένα χειμωνιάτικο πρωινό τον έβγαλαν στελέχη τού Κόμματος από το κελί του, τού έβγαλαν τα παπούτσια του και τα χονδρά ρούχα του και τον ανάγκαζαν να περπατά ξυπόλητος και ελαφρά ενδεδυμένος μέσα στο χιόνι. Τον ρωτούσαν καθ' όδόν: «Θέλεις, τρελέ, να είσαι ακόμη μοναχός;». Τον κτυπούσαν με διάφορα μέσα για να τελειώσουν γρήγορα μ' αυτόν. Όταν κάποτε βγήκε από τις φυλακές, ήταν άρρωστος με καρκίνο στα πνευμόνια. Αλλά δεν κάλεσε τον γιατρό. Γι' αυτό οι άλλοι τον αποκαλούσαν: «Ό τρελός μοναχός». Ό π. Ιουστινιανός όμως είχε αποκτήσει, για την ταπείνωση του, για την υπομονή στις δοκιμασίες του και την πολλή του αγάπη προς τούς πτωχούς, το χάρισμα της διοράσεως. -Μετά από τρεις εβδομάδες, την επομένη ήμερα, την Κυριακή τού Θωμά, στις οκτώ το πρωί, εγώ θα φύγω από τον κόσμο αυτόν! Άλλοι πατέρες τον πίστευσαν και άλλοι έλεγαν ότι τον εξαπάτησε ό νοητός εχθρός. Εκείνος με σαφήνεια πληροφορημένος από την Θεία Χάρι για το τέλος του πού πλησίαζε, εξομολογήθηκε τα πάντα από την παιδική του ηλικία, έλαβε τα Άχραντα Μυστήρια, συνεχώρησε τούς άλλους και περίμενε με χαρά την καθορισμένη ήμερα και ώρα. κάλεσε και την αδελφή εν Χριστώ, μοναχή Ίουστίνα, από την μονή Τσιγκανέστ. Αυτή όμως δεν ημπόρεσε να έλθει στην κηδεία τού πρώην συζύγου της, διότι ήταν βαρειά ασθενής. -Μη με πάτε στον γιατρό, είπε στους Πατέρες ό π. Ιουστινιανός. Ένας είναι ό μοναδικός γιατρός μας, ό Χριστός. Καλέστε μόνο τον Μεγάλο Γιατρό! Και ιδού ή προφητεία του π. Ιουστινιανού εκπληρώθηκε ακριβώς. Την δεύτερη ήμερα, μετά την Κυριακή του Θωμά, στις οκτώ το πρωί, όταν κτύπησαν οι καμπάνες για την θεία Λειτουργία, ό π. Ιουστινιανός παρέδωσε το πνεύμα του στα χέρια του Θεού, έχοντας ειρηνικό και φωτισμένο το πρόσωπο του. Όλη ή συνοδεία της Μονής έξεπλάγησαν για το προφητευμένο τέλος του. Όταν οι πατέρες μετέφεραν και τοποθέτησαν το ιερό σκήνος του Γέροντος στο μνήμα του, ό ουρανός άρχισε να γεμίζει από μαύρα σύννεφα, πού ήταν μάλλον καρπός των προσευχών του. Σε λίγο άρχισε να βρέχει δυνατά, καθ' όσον είχε να βρέξει 40 ήμερες. -Για χάριν του π. Ιουστινιανού σε θεραπεύω! Και αμέσως το θαύμα έγινε. Την δεύτερη ήμερα αποκαταστάθηκε ή υγεία της και μάλιστα ήλθε και στο μνημόσυνο του πρώην συζύγου της, Γέροντος Ιουστινιανού. Ένας από τούς πιο φημισμένους Πνευματικούς στην μονή Άγαπία ήταν ό π. Ευθύμιος Τανάσε. Στο πρώτο μέρος της ζωής του δοκιμάσθηκε συχνά από διάφορα είδη πειρασμών. -Να έχεις πίστη, αδελφέ Ιωάννη. Θα γίνεις καλύτερα. Κατόπιν θα έλθεις στο μοναστήρι Σέκου, όπου είμαι κι εγώ, και θα γίνεις και εσύ ιερεύς. Και πράγματι, με την βοήθεια του Θεού, το καλοκαίρι του 1918 ό αδελφός αυτός ήλθε στο μοναστήρι Σέκου. Ό πρώτος πού συνάντησε ήταν ό π. Βικέντιος, ό όποιος και τον δέχθηκε με πολλή χαρά. Στις 9 Σεπτεμβρίου 1918 έκάρη μοναχός ό Ιωάννης λαβών το όνομα Ευθύμιος με την συμβουλή και ευλογία του π. Βικέντιου. Τον Απρίλιο του 1919 χειροτονήθηκε ιερεύς κι έτσι εκπληρώθηκε ή προφητεία του πνευματικού του πατρός. Ομοίως και ή πρώην σύζυγος του μόνασε στην σκήτη Μπουτσιουμένι, όπου το 1920 άλλαξε τα κοσμικά ρούχα με τα καλογερικά. Το έτος 1923 ό ιερομόναχος Ευθύμιος χειροθετήθηκε και Πνευματικός και εστάλη στην μονή Άγαπία σαν Πνευματικός και λειτουργός των μοναζουσών. Εδώ ή πανοσιότης του πρόσθεσε πόνους ασκητικούς επάνω σε άλλους πόνους βοηθώντας τον εαυτό του και τούς άλλους. Συμμετείχε σε όλες τις ακολουθίες σαν λειτουργός και επιτελούσε τις ιερές ακολουθίες με φόβο Θεού και ευλάβεια. Το 1933 απέθανε ό γιός του και ετάφη στην μονή Άγαπία. Μετά από πέντε χρόνια απέθανε και ή κόρη του, ή οποία είχε γίνει μοναχή στην μονή Μπίστριτσα του νόμου Βίλτσεα. Έτσι ό π. Ευθύμιος έμεινε μόνος, χωρίς τα παιδιά του. Τον Μάρτιο του 1940 μετακόμισε μαζί με τον Πνευματικό του, τον π. Βικέντιο, σ' ένα μικρό μοναστήρι του νόμου Μπάνατ. Εκεί δεν έμεινε πολύ και επέστρεψε πάλι σαν Πνευματικός στο μοναστήρι Βαρότεκ, στο Άγαπία, στην μονή Συχαστρία και Βίρνοβα. Μετά από λίγα χρόνια εγκαταστάθηκε οριστικά στην μονή Παλαιά Άγαπία. Εδώ διανύει το τελευταίο τμήμα της ζωής του. Συνεχίζει τούς αγώνες του και αναδεικνύεται ένας αληθινός απόστολος του μοναχισμού και της Εκκλησίας του Χριστού μας, θυσιάζοντας την ζωή του μέχρι τελευταίας του ρανίδος. 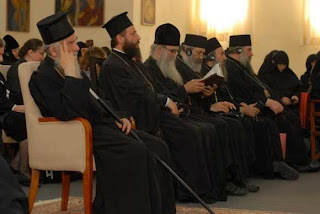 -Ιδού βλέπω δύο χορούς αγγέλων. Ό ένας έχει αγγέλους φωτεινούς με άσπρες ενδυμασίες και με χρυσά έπιμανίκια στα χέρια, και ό άλλος είναι από μαύρους δαίμονες φοβερούς στην όψη. -Δώσατε μου τα καθαρά μου ρούχα, το ζωστικό μου, το Σχήμα μου, την ζώνη και το ράσο μου. Άνοιξαν οι Αδελφές την πόρτα του κελιού και σαν να εισήλθε και να εξήλθε γρήγορα κάποιος. Εκείνη την στιγμή ό π. Ευθύμιος είχε λίγο βήχα και έβγαλε κάτι. Ήταν σαν ένα παιδάκι πού κάποιος το ταΐζει, και βγάζει κάτι από το στόμα του. Κατόπιν ό Γέροντας ανάσανε βαθειά και αναχώρησε για το αιώνιο ταξίδι. Έτσι ό Γέροντας Ευθύμιος πέρασε από την θύρα αυτού του κελιού του στην θύρα της αιωνιότητας! 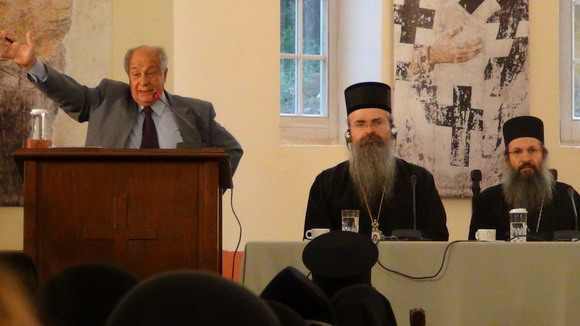 «Πρωτοσύγκελλος Ευθύμιος Τανάσε. Γεννήθηκε το 1886 και εκοιμήθη έν Κυρίω το 1970». "Της τα έδωσα της Πατρίδος και τα δύο"
ΧΤΕΣ Η ΕΟΡΤΗ ΤΗΣ ΑΓΙΑΣ ΠΑΡΑΣΚΕΥΗΣ ΣΤΗΝ ΣΕΡΒΙΑ. Church of St. John The Baptist in Jerusalem. ΔΙΑΛΟΓΟΣ ΜΕ ΕΡΗΜΙΤΗ ΣΤΟ ΑΓΙΟΝ ΟΡΟΣ. Ο ΓΕΡΟ ΝΑΓΚ Ο ΣΙΔΕΡΑΣ. ΑΓΙΟΝ ΟΡΟΣ ΚΑΙ ΕΥΡΩΠΑΙΚΗ ΕΝΩΣΗ. ΘΑΥΜΑΤΑ ΤΟΥ ΓΕΡΟΝΤΑ ΠΑΙΣΙΟΥ ΚΑΙ Η ΘΕΟΛΟΓΙΑ ΤΟΥ. ΠΩΣ ΓΝΩΡΙΣΑΜΕ ΤΟΝ ΓΕΡΟΝΤΑ ΠΑΙΣΙΟ. Ο ΝΕΟΜΑΡΤΥΣ ΑΓΙΟΣ ΠΡΟΚΟΠΙΟΣ ΣΜΥΡΝΗΣ. Η ΣΗΜΑΣΙΑ ΝΑ ΕΙΣΑΙ ΑΝΑΔΟΧΟΣ. ΜΟΝΑΧΟΣ ΣΙΜΩΝ. ΚΕΙΜΕΝΑ ΑΘΩΝΙΚΗΣ ΠΟΛΙΤΕΙΑΣ. Η ΜΑΧΗ ΤΗΣ ΚΑΛΛΙΕΡΓΕΙΑΣ ΣΤΗΝ ΜΟΝΗ ΤΗΣ ΟΠΤΙΝΑ. ΟΙ ΑΔΕΛΦΕΣ ΤΟΥ ΕΛΕΟΥΣ ΣΤΗΝ ΡΩΣΙΑ. Η εορτή της Αγίας Θέκλης στο Πατριαρχείο. ΒΙΟΣ και ΠΟΛΙΤΕΙΑ του Οσίου Γέροντος ΠΟΡΦΥΡΙΟΥ.